With Better Half (BH) and Cincinnati Girl Invited (CGI) along for giggles, the Critic visited this brand new pizzeria which is owned by a distant family member. Back to the Radio Station. It is called Radio Station as the owner – let’s call him Rach for now – is a big fan of all things music. He plays in a band. Has regular jam sessions. Loves rock and has traveled extensively. And he loves pizza. 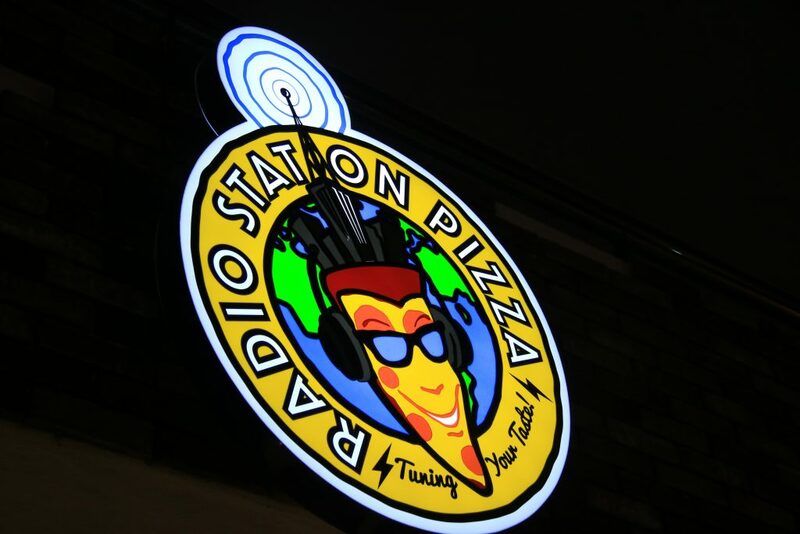 So pizza and music = radio station pizza. 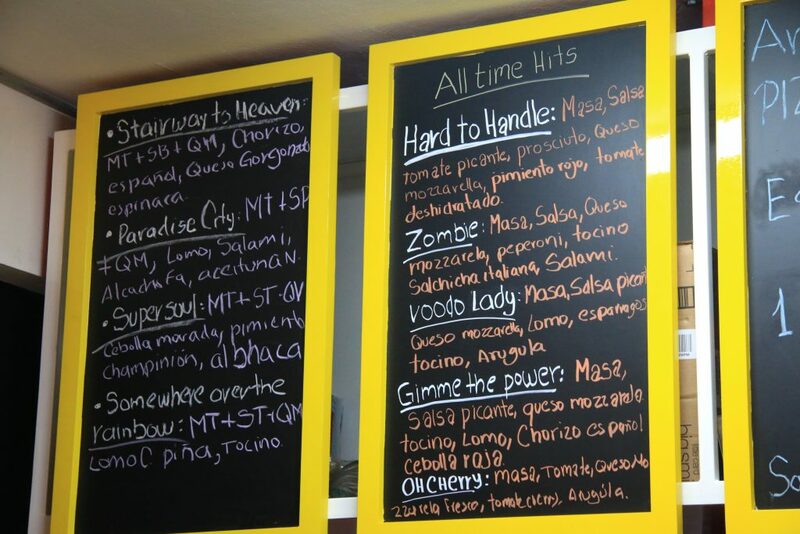 Signature pizzas are named after rock songs and there are musical referencesthrough out the simple but functional locale. 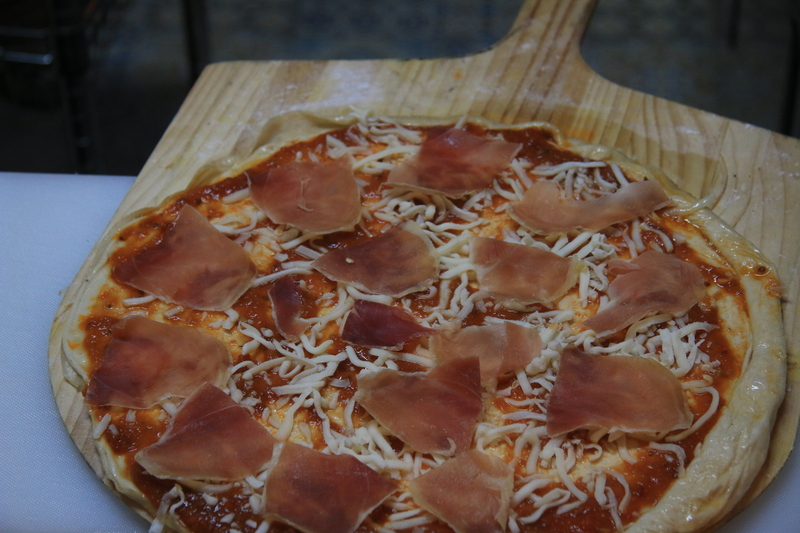 You can also create your own pizza with plenty of ingredients to choose from. These, by the way, are quality ingredients. The cheese (along with the flour) comes from Italy via Mexico DF. Lomo canadiense (not the Critic’s the stuff you put on the pizza) is the real thing. Pepperoni, salami, mushrooms, sun dried tomatoes. 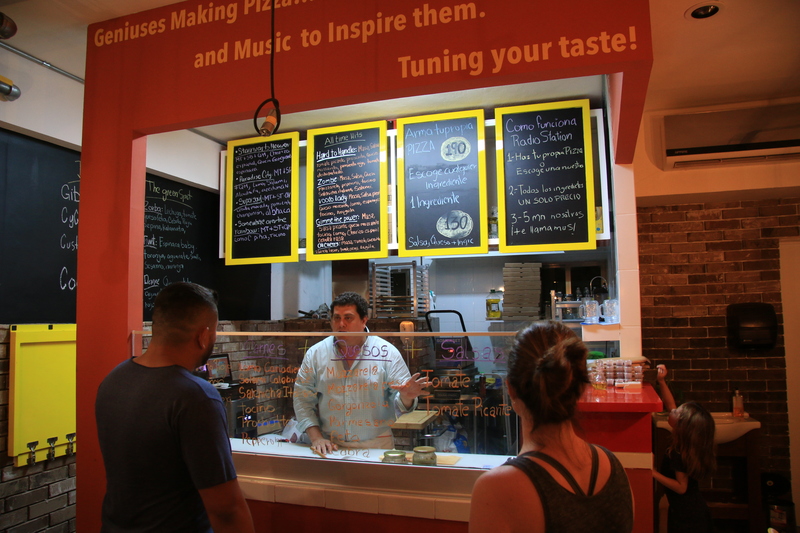 Rach is not going to Super Aki for his ingredients and when you bite into a slice of the pizza you created and that popped out of his brick oven in 3-5 minutes, you will see that this is what makes these pies taste great. The crust is thin and if you want it cooked normally, it takes about 3 minutes. If you like it charred and crispier (highly recommended) it will be about 5 minutes. While you wait you can enjoy the music and drink the home-made jamaica, infused with rosemary and brought to your table in glass bottles (no plastic!). No alcohol license just yet, it appears. To give you an idea, the Critic, BH and CGI had two pizzas, which are ‘one-size-fits-all’ approx 8 inches or so across. Not too huge. 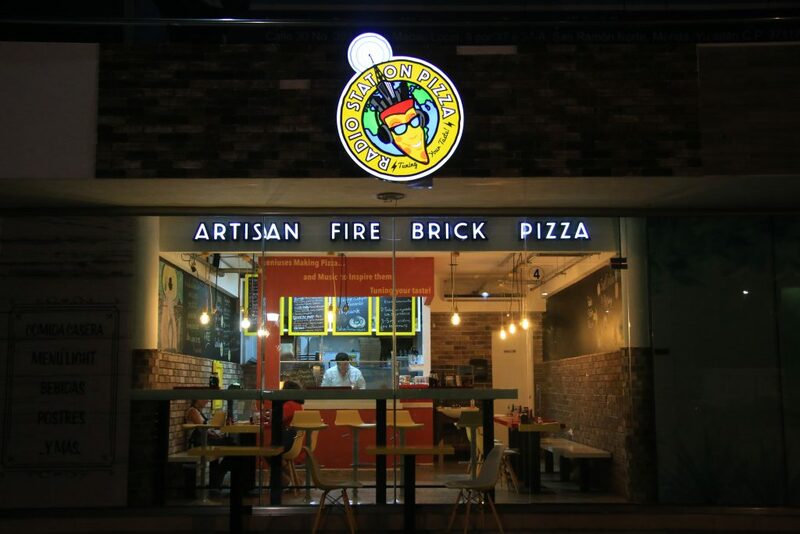 Another pizza was ordered to take home to the MiniCritic, who had not come along on this particular outing, preferring to stay home andhave the food brought to her as is befitting of the queen she is. The Critic can recommend Radio Station Pizza without hesitation, family member or not. And do save room for dessert – available right next door at Shüteln – which will be dealt with in a separate review. Como diría aquel…y yo pregunto: location, location, location??? Sounds super do they deliver? 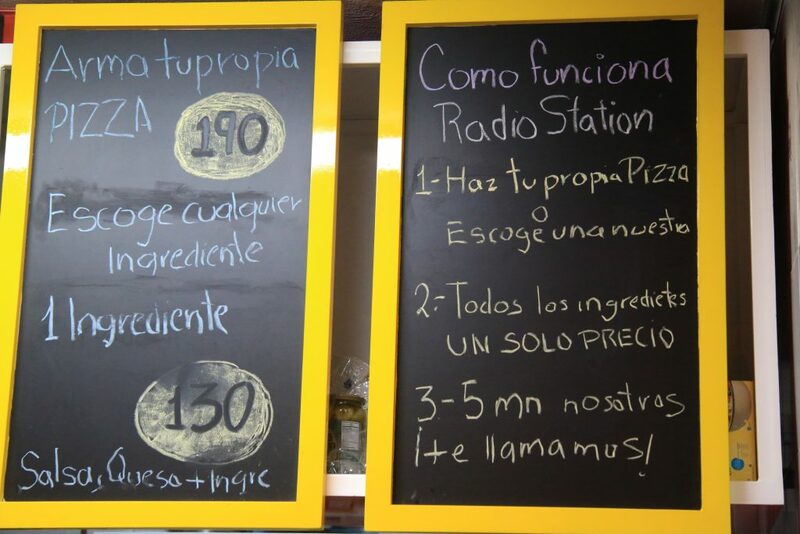 Plaza Macao, avenida Garcia Lavin! Not at the moment, no! 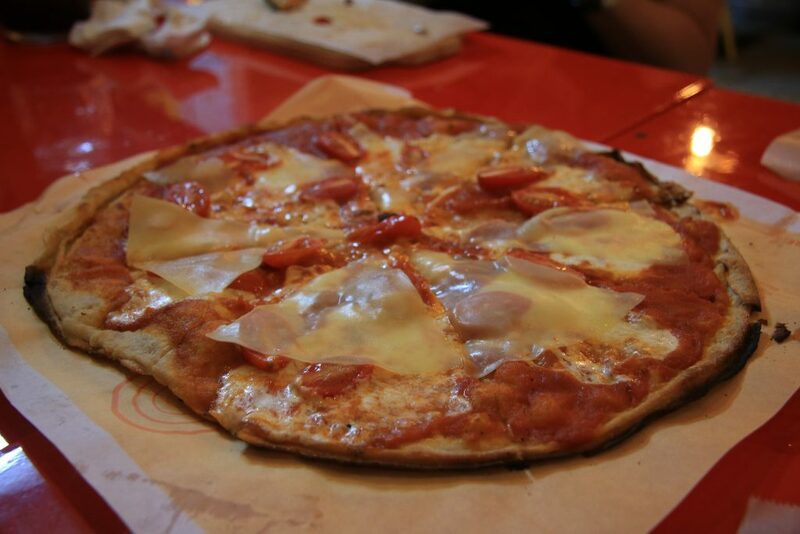 Is it possible to ask for thick crust or are the crusts made ahead of time? 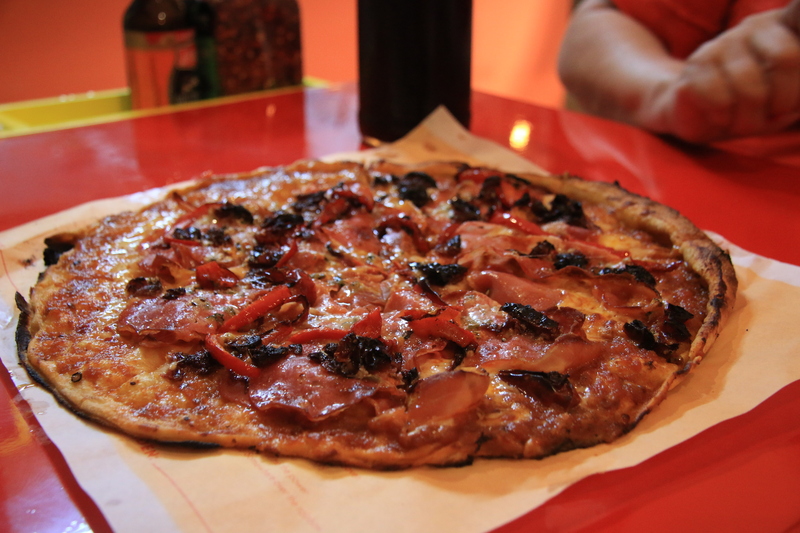 I love thin-crust burnt pizza but occasionally like the chewy thicker crust. Hi John, the crust is thin. I suggest that when in the mood for a thicker crust you try Boston’s Pizza, which is pretty darn good pizza as well. Ha ha ha! Gracias Nadia!! Looks delicious, William. Another place I need to visit. I long ago had enough New York pizza. And this has been read 18 times. I read it twice. Somebody let us know when we can get a beer with what looks like my dream pizza.